As you’ll have seen in our previous posting, the main rationale for the Bauhinia Genome project is education. Both of the mysterious history of the Hong Kong’s floral emblem, and of the study of DNA to improve the genomic literacy of the public. We are communicating this via various forms, but one we haven’t touched upon so far is the medium of art. Art harnesses an author’s imaginative skill to express themselves in a manner intended to be appreciated. The definition of art relates to the older Latin meaning, which roughly translates to “skill” or “craft,” as associated with words such as “artisan.” This aligns well with the goals of our project, which is to engage audiences to communicate important “state of the art” concepts. In the discovery of Bauhinia, horticulturists used what were state-of-the-art skills at the time to graft and propagate the flower purely because they liked it, and wanted others to share the experience. Have such an aesthetically engaging emblem that only exists because humans find it beautiful, also makes this an obvious medium for our message. These parallels haven’t gone unnoticed by others, and since we launched the project we’ve been contacted by a few artists about our project to ask historical and scientific questions about Bauhinia. 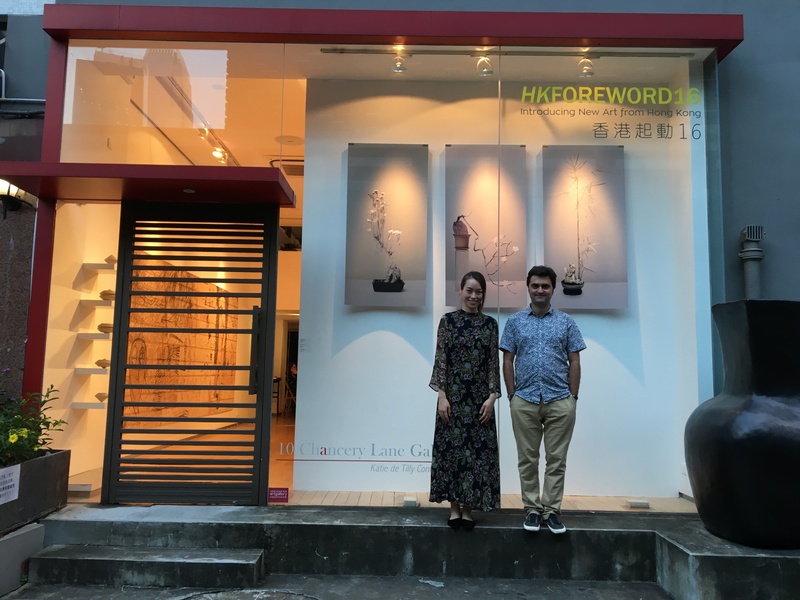 This month the fruits of this have finally gone on display, with the first two Bauhinia Genome related and inspired art shows going on in Hong Kong. 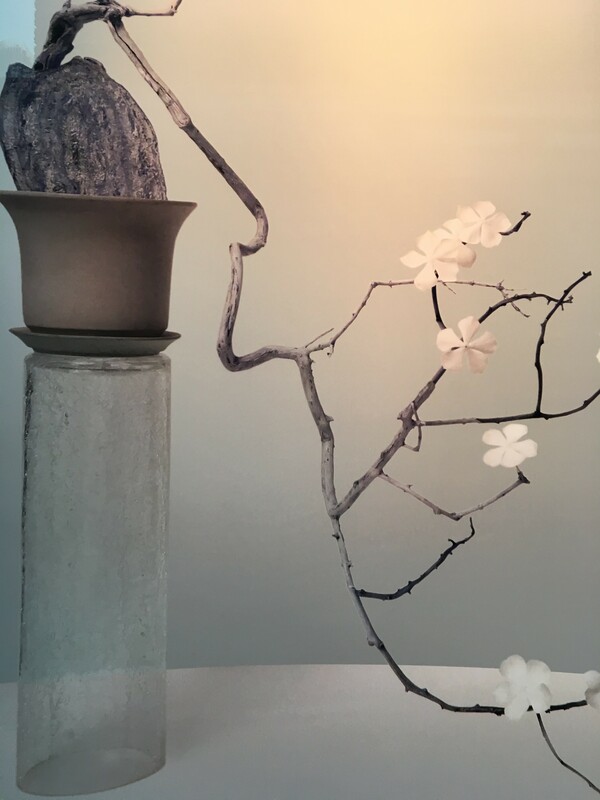 Here and in a follow up posting we provide some pictures and videos of this fantastic Bauhinia art, the first of which is Avon Lee’s fantastic work that was on show at the 10 Chancery Lane Gallery from the 1st-17th September. 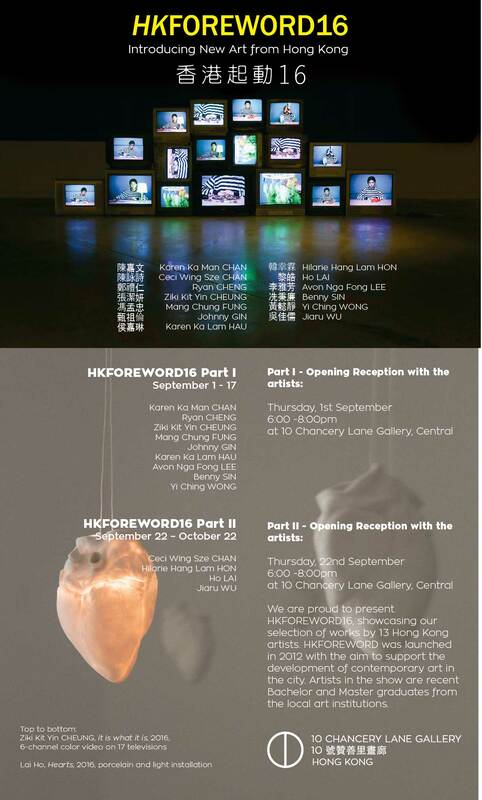 Avon Nga Fong Lee has just graduated in Fine Arts from the Chinese University of Hong Kong, and her graduation work, “Nicked Typed Specimen III, Junzi Series”, featured in the yearly #HKForward16 exhibition at the 10 Chancery Lane Gallery. 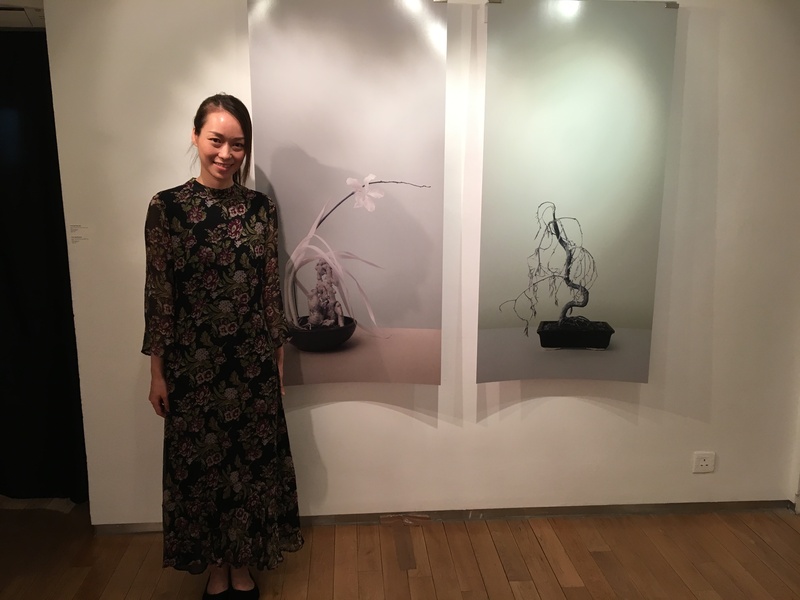 Avon explores the concepts of “Chineseness” and Hong Kong’s recent history and politics, through the medium of Junzi art, and cultivation of Bauhinia. 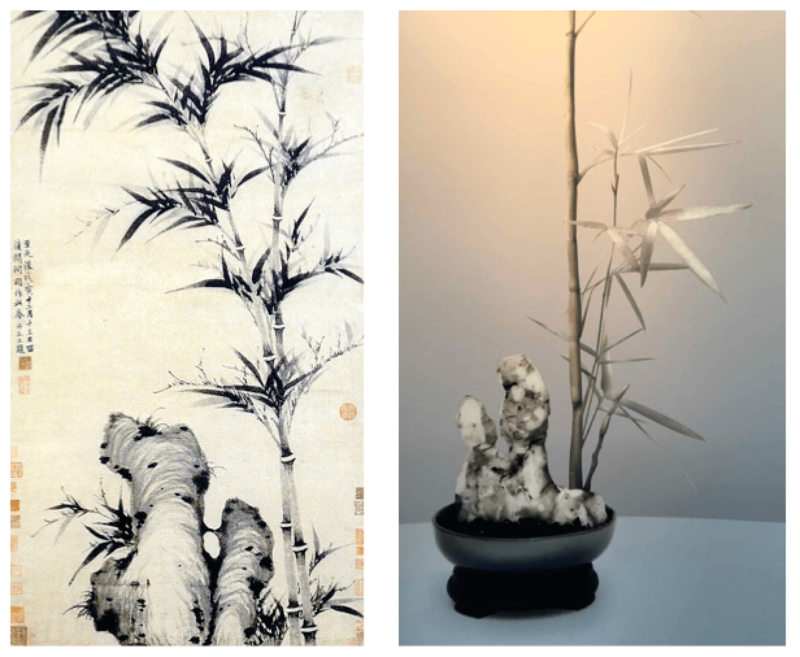 Junzi, in Chinese art, compare four symbolic plants: plum blossom, orchid, bamboo, and chrysanthemum, to Confucianist Junzi, or “gentlemen”. They have been popularly depicted in traditional Chinese ink and wash painting since the time of the Chinese Song dynasty because of their refined beauty. As they represent the four seasons (the plum blossom for winter, the orchid for spring, the bamboo for summer, and the chrysanthemum for autumn), the four are used to depict the unfolding of the seasons through the year. Bauhinia is an endemic species to Hong Kong represented by a typed specimen stored at the Hong Kong herbarium, and as a sterile hybrid is cultivated by grafting of Bauhinia blakeana shoots onto the rootstock of the parental species. Avon has a lot of fun with this idea, grafting Bauhinia onto different plant species (such as chrysanthemums, ginger and other Chinese herbs, and pine bonsai) to create hybrid “Nicked Type Specimens” representing the four Junzi gentleman. Plus a symbolic fifth false Junzi. There is much symbolism representing taboos and the politics of Hong Kong’s transition back to the mainland. Being filmed in infra red, the white colour of all of the resulting pictures is actually a reflection from the chlorophyll. This non-colour is exactly the same as the white in the Hong Kong Bauhinia flag, which under basic law is supposed to represent Hong Kong, and be colourless rather than a colour. Avon was already working on the first series when she saw the SCMP article announcing Bauhinia Genome and then got in touch with us to ask more historical and scientific questions. Hopefully this helped inspire this new series, and the work is ongoing, so we look forward to seeing a full exhibition of further fantastic Bauhinia art some time in the near future. Watch this space for details (update 29/9/16: we have a post on Ellen Pau’s exhibition here).